Eric and I are excited to share that we have recently raised $11.33 MM in a Series A funding round led by Drive Capital with follow-on investor Speedinvest. We both have had a vision to completely revolutionize networks since we were working together on research at the University of Colorado, Boulder. We are excited to use this fundraising to double-down our efforts and introduce a new category to the market called Software-Defined Interconnect (SD-IX). We are excited about the opportunity to ramp our growth and tackle the networking challenges the industry has long deemed impossible. As we look to the future, we have had time to reflect on the moments that made it possible to reach this point. 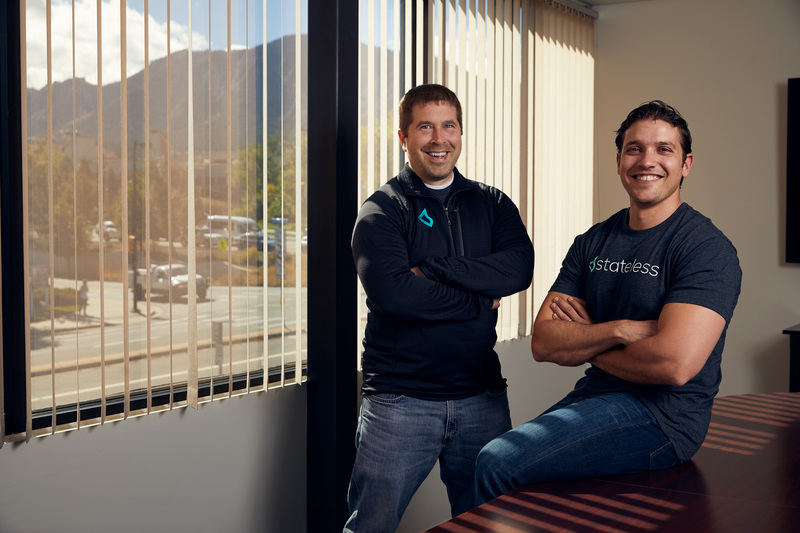 From our first employee interview, first pitch to investors, trying to interview a data center operators and being escorted out of the building, graduating Techstars Boulder and now early adopters deploying our platform in their data centers, each moment is proof that the only way to go far is by going together. So before we start charging off into what the future holds, Eric and I wanted to take a moment to express our gratitude to every person who made it possible for us to reach this point. Since we founded the company three years ago, we have grown from four people meeting in the basement of a building on-campus at the University of Colorado to a diverse team of engineers, sales, marketing, product management and operations. Getting to this inflection point would not have been possible without each and every one of our team members waking up each day and working relentlessly on our mission to re-invent network connectivity. There have been early mornings and late nights filled with whiteboarding, ideating, coding, creating, investigating, deleting, revising, revising again, revising one more time, failing and succeeding that have made it possible to raise this round of funding. A thank you for these individuals will never be enough, but I am forever grateful for the hard work, energy and dedication every member of the Stateless team brings into the office every morning, day and night. We also would not be here without our early investors and advisors who continually leverage their expertise, networks and free-time to help us succeed. This group of experts consistently provides the guidance we need to build a successful company and helps us gracefully navigate any hurdles that we run up against. Thank you for your never ending assistance and encouragement. Lastly, since our founding the Boulder startup community haspaid it forward at every opportunity. Through Techstars, the University of Colorado Boulder, meet-ups, networking events and every moment in between, the community has radically embraced the idea of supporting one another for the good of the group. We are forever grateful. The capital raise has given us a great partner in Drive Capital and well help us expedite our vision of re-inventing network connectivity. We will be announcing and launching our product later this year. We will be using this funding to address the market opportunity for colocation providers called Software-Defined Interconnect, which you can read about here. In the meantime, if you are interested in joining our team, check out our careers page. We will be updating this page regularly as we grow our team of talented and dedicated people. Stay tuned for all that is to come!